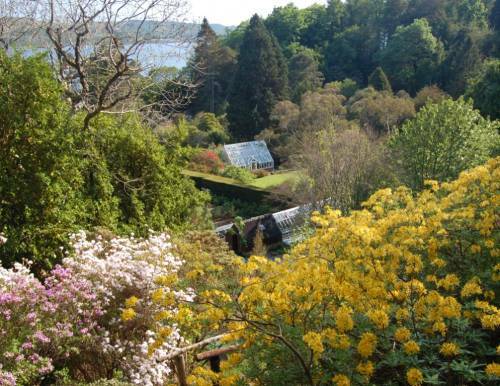 Arduaine is a twenty acre coastal garden situated on the southern slope of a promontory beside the Sound of Jura, twenty miles south of Oban and just off the A816. 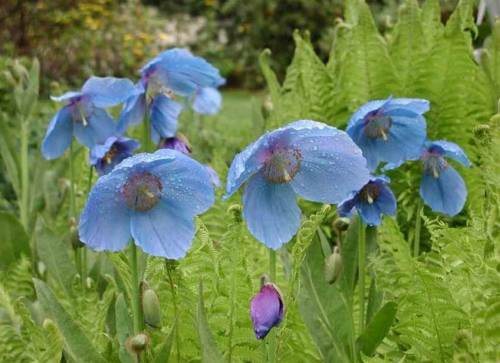 As the headland is open to all the winds that blow, the garden hides behind a shelterbelt that keeps out the worst of the wind and salt spray and allows us, with help from the North Atlantic Drift, to grow many tender plants. 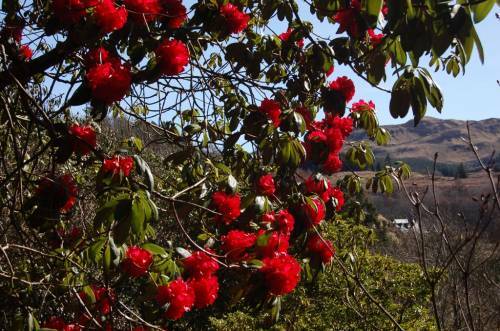 Arduaine is well-known in rhododendron circles for its wonderful collection of species and hybrids, many of which are considered tender elsewhere and grow largely under the canopy of mature Japanese larch. 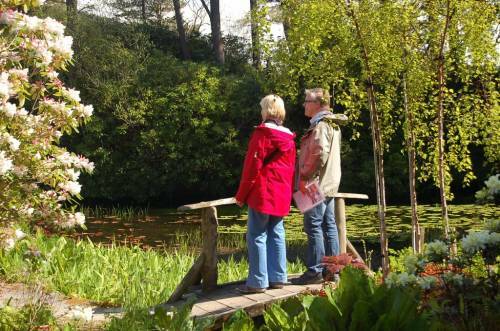 The garden has a great variety of flowering shrubs and trees, bamboos, ferns (including tree ferns), a large perennial collection in many mixed borders, and numerous small ponds and watercourses growing water lilies, primulas and other marginal plants. 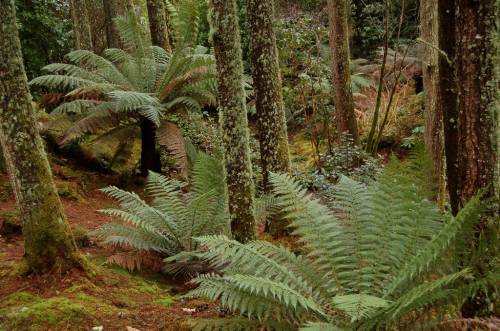 Our plants come from all over the world, but in particular from East Asia and South America, and in addition we have native mosses and ferns growing everywhere. 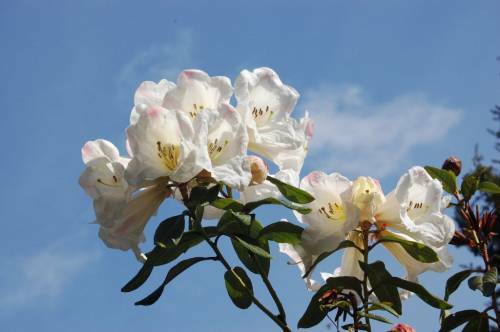 Particularly good for rhododendrons and azaleas in April and May, sometimes earlier, the garden has a long summer season of perennials and flowering shrubs and the discerning visitor will find something in flower every day of the year. Getting there: 4 miles south of Kilmelford, just off the A816, midway between Oban and Lochgilphead. Two marked garden trails, wheelchair friendly with assistance, a variety of laminated self-guided walk sheets, coastal viewpoints, toilets, including accessible toilet, well-behaved dogs on short leads welcome, guided tours by prior arrangement, small shop with a selection of goods and seeds from the garden for sale, refreshments at the adjacent Loch Melfort Hotel.